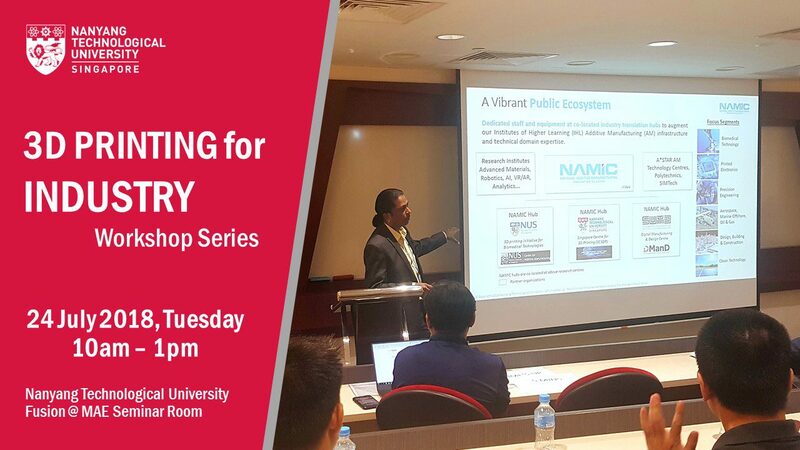 The 3D Printing for Industry Workshop Series held on 24 July 2018 at the Nanyang Technological University, Fusion @ MAE Seminar Room was a huge success. The workshop gave attendees the opportunity to learn how 3D Printing can grow their business. Industry partners and experts also shared their success stories and the application of 3D Printing. Prof. Alexander Michaelis and Dr. Sastry Kandukuri from DNV GL were the keynote speakers and Mahendran Reddy gave an overview of what NAMIC is all about. Participants also had the opportunity to network with one another and build bridges with other industry players and NAMIC.